George Oswalt graduated from The University of the South in Sewanee, TN with a degree in English. 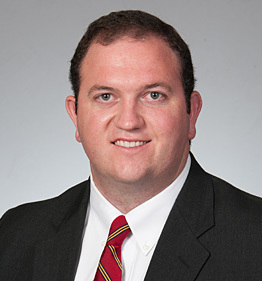 He began his insurance career with Willis Towers Watson in Nashville, TN where he handled policy placement and customer service processes for hundreds of companies, large and small. During this time, George attained both the Certified Insurance Service Representative (CISR) and the Associate in Risk Management (ARM) designations. In 2016, George moved home to Mobile and joined the agency. His areas of focus include Commercial Property owners, high-value Homeowners, and growing Businesses. He is working towards his Certified Insurance Counselor (CIC) designation. George is involved in the Senior Bowl Committee, the Mobile Touchdown Club, the Port of Mobile Propeller Club, and he is a member of Government Street Presbyterian Church. In his spare time, George enjoys spending time with his family in Gulf Shores or Point Clear.